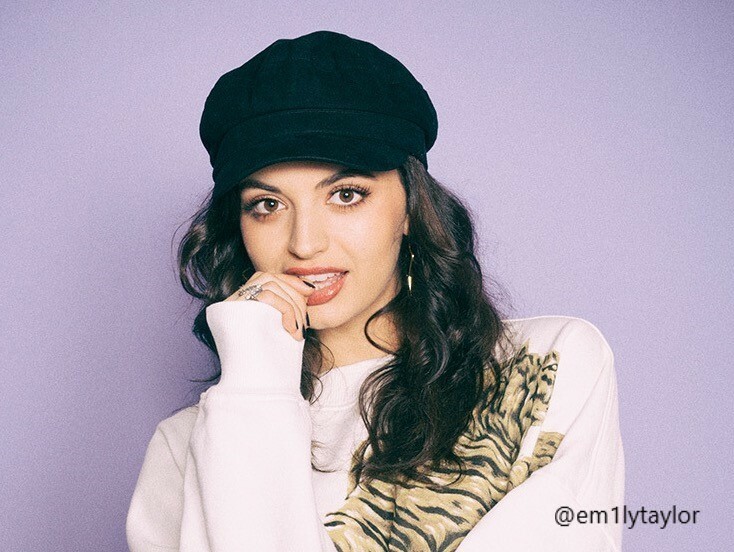 Rebecca Black is well known all around the world as a musician and YouTuber. Her song Friday is still popular but her latest Album REBL is her up to date take on life. Rebecca supports the work of Wildlife Vets International and we were lucky recently to have a chat with her about her life growing up in a veterinary household! You have kindly been supporting WVI for quite some time now but you are a musician and You Tube personality - how come you are interested in veterinary conservation work? I am so happy to be supporting WVI’s efforts towards veterinary conservation. I grew up in an household with a massive love for animals - both of my parents are veterinarians! Growing up we always had dogs, cats, birds, reptiles, turtles, rabbits - you name it! So from the very beginning of my life, I was lucky enough to experience the incredible bond a human and animal could have. Animals have brought so much love and joy to me over the years, they have been there for me through the toughest times in my life. The least I could do is give that love back to them the best I can - and to share that love with other species who need our help to survive in such a fast-paced, ever-changing world. What are your parents favourite wild animals and have they ever done any conservation field work? For my mum it’s dolphins, and my dad, elephants for sure! When my dad was younger and in vet school, he was able to work with elephants locally, but not able to go out into field work. I know the both of them would love to be able to work with such beautiful creatures out in the field, but they have been so busy working in their own practices here in California over the years. I really hope to be able to go with my mum and dad to do some conservation work together one day! Do you have any animals yourself? I do! I have a cat named Sophie. In 2013 she came into my mum’s practice as a rescue (she was only three months old!) and at the time had a completely shattered bone in her front left leg - so it had to be amputated. She was due to be sent off to the pound so my mum took her in, and from that day on, Sophie and I have been inseparable! When I moved out at 18, she came with me and has been the best companion to me as I grow into adulthood. She is feisty and only cuddles on her terms, but she is so loving and special. Did you ever want to be a vet or work with animals? If yes, then how did you end up being a musician? When I was very young I definitely did. My little brother and I both spent a lot of time in vet hospitals, getting to spend time with animals, sit in on check ups, and do small tasks helping out - not as chores but genuinely because we had so much fun doing what we could to lend a hand. I would spend many summers in local pet adoption centers doing everything from walking dogs to cleaning fish bowls, and I loved it. It was at the same time though that I was growing such a deep love for music and performance, and that was where life took me. I do feel so lucky to still be able to work with animals in a different way now while I do music and acting. Have you visited any of WVI’s projects? If you had a magic wish - what animal would you love to see in the wild? My favorite animal ever is a sloth! Hopefully one day I’ll be able to see one out in the wild. If you could make a change for the good for nature and wildlife - what would it be? I don’t think many people understand how urgent the need for conservation now is - and that there are even just small efforts you can fit into your everyday life to help out our planet and species living on it. For example: less disposable plastic and more reusable items. I think creating as much awareness as possible while also including sustainable alternatives to a daily lifestyle can jumpstart inspiration and get more people to get involved. Who is your hero conservationist? I have been so inspired by Bindi Irwin. As a young woman, her eloquence and strength combined with her ability to spread her message is powerful to learn from as a young woman myself. Do you see yourself following the footsteps of Sting or Bono or even Leonardo Dicaprio? I mean, wow! I have high hopes to do so. Of course those feel like big shoes to fill considering the massive moves they have made as philanthropists - but it would be so fulfilling to look back on my life knowing I have been able to use the platform I’ve been given to help make our planet a kinder, healthier place. Do you ever sing about wildlife? You know, wildlife has actually served as an inspiration behind a song of mine! It was a song called “Come Alive” that I played on my first tour. The power and energy behind the nature of wildlife can really inspire and paint beautiful pictures - and bits of that definitely trickled down into the songwriting and vibe of that song. The feeling of fullness and freedom, I remember the vision we created in the studio while that song came together!